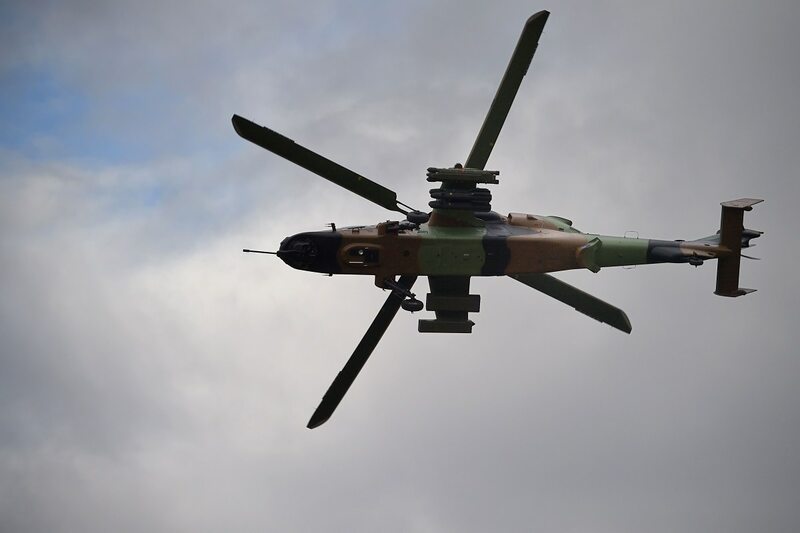 The French Army is studying five weapons in a technical evaluation for a new air-to-ground missile in a planned upgrade of the Tiger attack helicopter, said Army Sgt. Maj. Jean-Luc. That assessment will allow the Army’s specialist Stat unit for weapon assessment to draw up a file of operational needs for the Future Tactical Air-Surface Missile, dubbed MAST-F, Jean-Luc told reporters May 15. Jean-Luc’s full name is not being provided for security reasons. The acquisition of a new missile is part of the Tiger Mk3 modernization project, which has been announced as part of Franco-German military cooperation in a bid to boost European defense. The five weapons under consideration are MLP, a long-range version of the MBDA MMP anti-tank missile; EMMH, a Franco-German cooperative project based on the MLP; Brimstone 3, a British missile; Spike ER of Rafael; and the Joint Air-to-Ground Missile from Lockheed Martin, said Philippe Gouyon, a military adviser to MBDA. The Army Stat unit will draft its file of operational needs, which will serve as the basis for program requirements set by the Direction Générale de l’Armement procurement office, and issued to industry in a public tender. It’s possible Spain may also join the process. Spanish participation is needed to qualify for European Union funding for development of the EMMH missile, as the European Defence Fund requires three EU partner nations to attract financial support. The French Army is due to take the MMP to Mali in September, its first overseas deployment, said Jean-Luc. Jean-Luc is one of 27 instructors who train those who will in turn train other troops to fire the MMP. There has been training of the special forces of the Air Force, Army and Navy. A first firing of the MMP from the Jaguar combat and reconnaissance vehicle is due early next year. The Army received its first 50-strong batch of MMPs in December, part the replacement of the Milan anti-tank weapon. The MBDA presentation of the MMP was part of a press trip organized by the defense industry association Gicat.